In part 1 and 2 of our Slim Quick review, we reviewed the original Slimquick for Women diet pill. In it, we went in details about the various ingredients contained in the different Slim quick complexes. The thermogenic complex contains ingredients such as green tea, caffeine, yerba mate, and clary sage extract. Slimquick for women also includes a hormone balancing complex which includes 2 main ingredients soy isoflavones, and vitex agnus castus, both of which we presented various studies documenting their various benefits. Next up is the cortifem complex which contained phosphatidylserine, rhodiola rosea extract, and theanine. Slimquick also has a water removal complex containing several diuretic ingredients which help flush out excess water from your body. These include dandelion leaf, horsetail, uva ursi extract, and pycnogenol. Slim Quick markets several different products including the original Slimquick, Slimquick Night TIme, Slimquick Extreme, Slimquick Hoodia, Slimquick Cleanse, Slim Quick Drink Mix, and Slimquick Naturals. Each of these products is marketed with a slightly different purpose, but the main common goal is weight loss for women. We will briefly review some of these slim quick products here, with the main focus of our review on Slim Quick Cleanse. If you have used Slimquick, please share your review of it here. The main active weight loss ingredient here is hoodia gordonii and green tea extract. In 1977, the South African Council for Scientific and Industrial Research (CSIR) isolated the appetite suppressing compound from Hoodia Gordonii, which is now known as P57, but don't get this confused with current Hoodia Gordonii diet pill products which name their products in a similar fashion, such as Hoodia X57 and Hoodia H57. P57 is the active ingredient that suppresses appetite, while Hoodia X57 and P57 are just products with similar names. You read learn more about Hoodia Gordonii in our article here. Theobromine is a primary alkaloid found in cocoa and chocolate, with cocoa containing a higher concentration of theobromine. Theobromine can also be found in small amounts in kola nut, guarana berry, and tea plants. It has some similarities with caffeine; however, theobromine is weaker than caffeine and has a lesser impact on the human central nervous system. It has also been identified as one of the compounds in chocolate that contributes to its role as an aphrodisiac. I was unable to find any studies of sesamin performed with human subjects - all the studies available were performed on rats. However, these studies do speak well for the sesamin and its benefits for fat loss. Sesamin is also gaining more recognition and popularity in various supplements and fat burners. Aside from green tea extract, which we already discussed, Slimquick Extreme also contains another tea called Pu-erh tea. Pu-erh tea is one of the major tea varieties produced in Yunnan province in China, and is claimed to have many health benefits, including helping with weight loss. Pu-erh tea is a popular tea in China, and it is a tea that I like to drink often - although not for its weight loss benefits, but simply to enjoy the tea itself. Guggulsterone - Guggul is an extract of the guggul tree Commiphora mukul, which is found in India, and Pakistan. It has been used over over 2000 years in ayurvedic medicine. Guggul is widely studied, and known to reduce cholesterol levels. 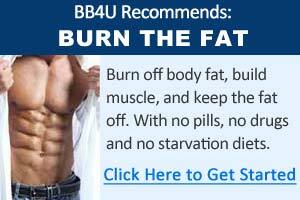 But it is also commonly used in many diet pills and fat burners as a weight loss ingredient. Studies have found guggulsterone to stimulate thyroid output and help increase metabolic rate leading to weight loss. Guggulsterone appears to help with conversion of T4 (an inactive thyroid hormone) into T3 (an active thyroid hormone). When T3 levels are low, lipase activity is hindered - meaning that the activity of enzymes which breaks down of fats into glycerol and fatty acid is reduced. Evodiamine is a major alkaloidal principle of Evodia fruits, which has been shown to reduce fat uptake in various mouse studies. It is believed that its mechanism works similar to that of capsaicin from red chili peppers, but it does not have the spicy taste of chili peppers. Chinese literature refers to Evodia fruits as a "hot nature" herb. At this point, however, studies have been done on mice, showing that Evodiamine helps in fighting obesity . Finally, Slimquick also contains Yohimbe, which has been used as an aphrodisiac for centuries, and is now showing some promise in the areas concerning weight loss. Although there are still relatively few studies done on Yohimbe's effects on fat loss, I managed to find several of them. To sum up the above findings, the researchers found that while Yohimbine had no effects of exercise performance or body mass changes, it helped reduce the body fat mass in subjects that took the Yohimbine supplement, leading to the conclusion that taking Yohimbine supplement is an effective way to lose body fat. Looking through the ingredients of Slimquick Extreme, we see a list of similar ingredients (caffeine, green tea extract, hoodia gordonii, clary sage extract, dandelion, and uva ursi) comparing with the original slimquick version. Aside from these common ingredients, we went through several key additional ingredients that are unique to Slimquick Extreme including yohimbe, sesame, raspberry ketone, theobromine, evodiamine, and guggulsterone. Many of these ingredients have shown promising weight loss results in clinical trials involving human subjects (such as yohimbe). But at the same time, other ingredients (such as evodiamine raspberry ketone), while showing promise, are still lacking studies with human subjects. Despite the limited clinical evidence, supplement manufacturers have not hesitated to include these ingredients in their diet products. While scientific evidence is still lacking in some areas for these active ingredients, anecdotal evidence remains strong from user reviews and feedbacks. As with all fat burners and diet pills, we suggest starting off with only half of the recommended dose. This will allow you to get a feel for the diet pill, and test out your body's reaction to it - everyone is different, and will have different reactions. If all goes well, then you can take the full dose as recommended by the label instructions, and make sure to read the instructions carefully. Instead of spending money on another diet pill, why not spend much less and learn the true method of long term, healthy weight loss that will lead to permanent weight loss results. 1. Sesamin, a sesame lignan, is a potent inducer of hepatic fatty acid oxidation in the rat. Metabolism. 1999 Oct;48(10):1303-13. 2. Life Sci. 2005 May 27;77(2):194-204. Epub 2005 Feb 25. 3. Planta Med. 2001 Oct;67(7):628-33.